It is now two months since the landmark deal on Iran’s nuclear program was signed. While the U.S. Congress is still due to vote, by September 17, to approve the accord, Russia is raising its profile with some high-flying diplomacy. The visit to Moscow this week by Iranian Foreign Minister Mohammad Javad Zarif, his first visit after the nuclear deal between the P5+1 and Iran was signed in Vienna, is testimony to Russia’s raised diplomatic profile and desire to capitalize on the positive momentum from that deal and maximise its gains. The outcome of Zarif’s visit was an accord to further high-tech cooperation, with Russian technologies to be used in the future production of stable isotopes at the Fordow nuclear facility. Additionally, Russia will exchange Iran’s low-enriched uranium for natural uranium. There could be an additional bonus in the form of new blocks to be constructed at the Bushehr nuclear power plant. This clearly indicates that Russia will play a key role in the implementation of the Vienna agreement. 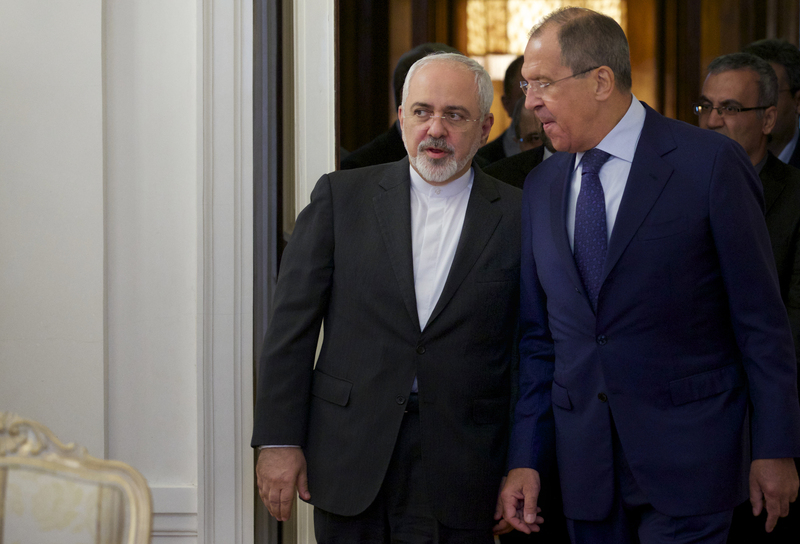 Media reports claim that Zarif and his Russian counterpart Sergei Lavrov also discussed the delivery of Russian S-300 surface-to-air missiles to Iran. This statement came in the wake of the meeting Lavrov held last week with Syrian opposition leaders while Zarif held talks with al-Assad in Damascus. Defying the West, both sides again dismissed calls for al-Assad to step down as a precondition for the end of the civil war in Syria. This reactivation of Russian and Iranian diplomacy did not go unnoticed in the United States, where congressmen and senators are expected to vote on the ratification of the Vienna accord. Zarif’s visit took place after a barrage of speculation about an alleged visit in late July to Moscow by Major General Qassim Suleimani, commander of the Iranian paramilitary elite forces, the al Quds. The rumours had an impact; they brought U.S. critics of the deal with Iran to the barricades. Since General Suleimani is on the persona non grata list, stipulated in the United Nations travel ban on people linked to Tehran’s nuclear and ballistic missile programs, opponents of the Vienna deal declared Russia culpable of violating the sanctions regime, which has not yet been lifted. Moscow denied that Suleimani came to the Russian capital. His rumoured visit made little sense, as one local expert explained, since there are two or even three higher ranking military commanders, to whom General Suleimani is subordinate, who are not on the blacklist and could freely travel to Moscow. Speaking at a press conference in Moscow, Zarif dismissed these rumours, linking them to the ongoing battle among political clans in Washington. At the core of the debate is the divergence of views on the crucial dilemma: Who stands to win and who will lose from the emergence of Iran without sanctions? While (US President Barack) Obama’s team has opted for a policy of positive engagement with Iran in view of a possible alignment when the Ayatollah’s rule softens and evolves into a more opportunistic regime, skeptics lambast this approach as illusionary and naïve. In Moscow, politicians and experts are no less divided on the opportunities offered by the Vienna deal. Igor Morozov, a member of the foreign affairs committee of the Federation Council (the upper house of the Russian parliament) stresses the ambiguity of Moscow’s position: On the one hand, there are plenty of benefits in cooperation in nuclear power generation, on the other hand, Iranian oil and gas sweeping the global markets would further depress prices, reduce Russia’s revenues from energy exports, and have a bearish effect on its national currency. For Russia, there is also the geopolitical and military dimension of the Vienna deal. Pavel Zolotarev, deputy director of the Moscow-based Institute of American and Canadian Studies, emphasized the advantages of strengthening strategic stability both regionally and globally. The absence of a nuclear threat from Tehran devalues claims that the U.S. needs to deploy an anti-ballistic missile system in Eastern Europe, close to Russia’s borders, on the pretext of establishing a shield against a hypothetical Iranian attack.